Dynaspine is a revolution in portable back supports, providing dynamic support for the back through a unique design, preventing symptoms of a bad back. It is particularly helpful if you have muscle aches, nerve pains and tension in your spine or shoulders, which are aggravated by long periods of sitting at your desk or driving a vehicle. Studies of the latest research into the management of back pain have shown that sitting in an ergonomically sound seated position - allowing for the correct movement of the spine - reduces pressure on the spinal joints and discs, decreases muscle fatigue and reduces back pain. These results have been used as the foundation of the Dynaspine product design. Dynaspine health benefits - Helps alleviate pain in the lower back. Relieves neck and shoulder tension. Allows for a dynamic, ergonomically sound seated position, which reduces pressure on the spinal joints and discs. 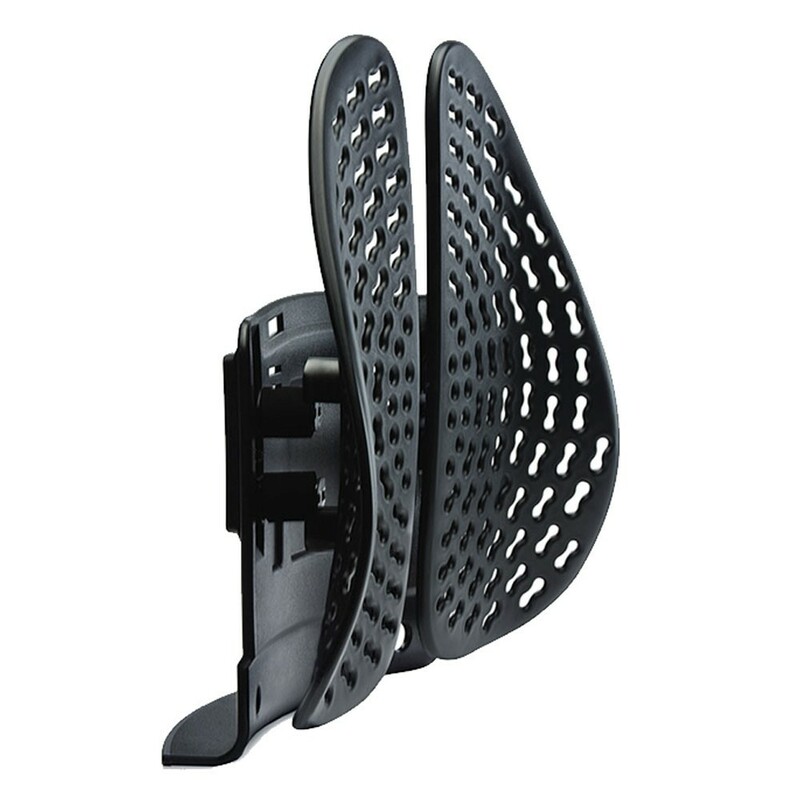 Provides consistent support, through changes in posture, whilst in the seated position. Reduces aching and numbness in the gluteal muscles - This benefits the user by providing support without restriction, decreasing pain and stiffness, helping with temperature control not found with other supports; ultimately increasing comfort in the correct seating position. Height adjustable to allow for correct fitting to a huge variety of back types and body sizes.